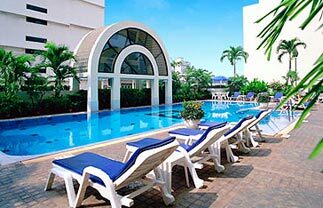 Looking for a cheap hotel in Bangkok? 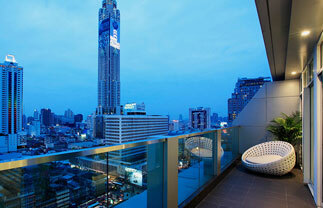 Find a great deal on a range of hotels in Bangkok with Netflights.com. Bangkok regularly makes it onto the list of top places to visit, and is a hot spot destination for backpackers and gap year adventurers from across the world. For the best deals search online or call a member of our expert travel team on 01772 386386. Superbly comfortable, this hotel is conveniently located just 100m from Sukhumvit Road in the heart of Bangkok’s shopping district. In an enviable location close to a great selection of restaurants, bars and retail outlets, the Century Park combines an inner city break with a peaceful resort getaway. Luxury in a relaxed atmosphere is what characterises this resort-style hotel. Tucked into a bend in the mighty Chao Phraya River, it’s ideally situated for exploring the floating markets and the famous River City Shopping Complex. 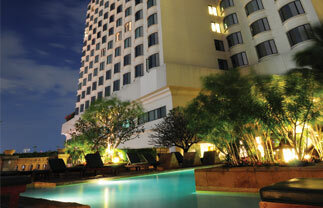 The Royal Orchid not only offers deluxe accommodation, but also great value. Newly built for 2013 you'll find this hotel in a prime spot in the Pratunam area, connected to the Watergate Pavilion shopping and leisure complex. Rooms and public areas showcase a trendy theme complete with sleek, contemporary fittings and lighting alongside premier facilities including a chic rooftop bar featuring resident DJs, that's certain to become one of the city's hottest nightime haunts. 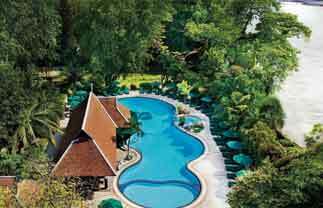 Unwind in the five star hotels in Bangkok like the Banyan Tree and the Shangri La, where stunning views of gardens, rivers and even temples are accompanied by spas, swimming pools, hair salons and various other luxurious amenities. For those on more of a budget there are several cheaper hotels like Century Park, with a range of grand deluxe, junior and executive suites, swimming pools and access to Bangkok’s amazing Victory Monument commercial and shopping district. Three star hotels like BelAire and Le Fenix provide quality budget luxury with swimming pools, fitness centres, cooking schools and shopping amenities nearby. With Netflights.com you can be assured when you book your holiday you’ll have access to the best hotels in Bangkok, due to our excellent relationships with leading travel partners. Allowing you to experience this lively playground and everything it has to offer. The SkyTrain and the new underground system make travelling within the city quick and easy. For a taste of more traditional Thai travel, take a thrilling ride in a tuk-tuk or board a public longtail boat. • Visiting the 18th century Grand Palace. • Going on a sunset cruise on the Chao Phraya River. • Visiting Wat Po, where you can see the longest reclining Buddha and Wat Arun, the Temple of Dawn. • Taking a tuk-tuk ride around the city. • Joining in the bustling nightlife in Patpong. Bangkok is a shopper’s paradise, whether you prefer the comfort of air-conditioned malls or relish hunting for a bargain in the night markets. 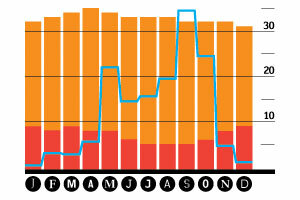 We recommend the malls on Silom Road, Asiatique Riverside and Chinatown’s Thieves Market. Don’t forget, bartering is all part of the fun! Please be aware, showing the soles of the feet or touching a Thai person on the head may cause offence.